Islander is nuts about coconuts! After all, she grew up on an island surrounded by coconut trees. To feed the family with the fruit, her Daddy would use a long pole with a knife attached to the end of it and extract the young coconuts from the tree. He would chop off the top of a coconut, stick a straw in it or pour the liquid in a glass and the family would drink fresh coconut water. After that, he would crack the coconut open and we would spoon out the flesh to eat the soft meat. 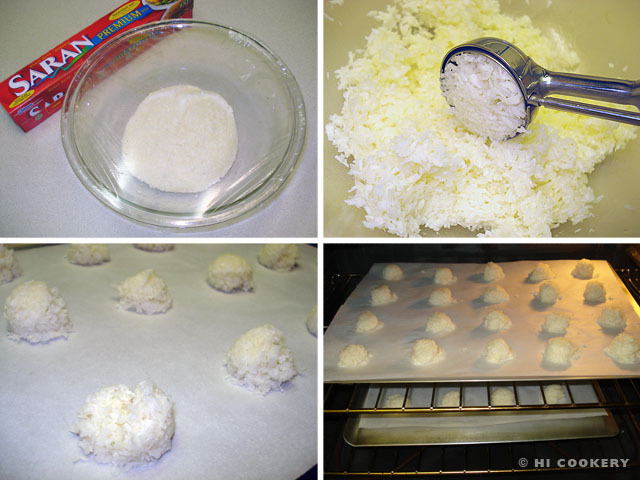 Daddy would also grate the older and firmer coconut meat so Mommy could transform them into a variety of tropical treats. Islander misses coconuts from Hawaii and must make do on the mainland when she finds coconut products at the grocery store. Sometimes, she makes coconut macaroons because these chewy cookies remind her of a similar dessert her Mommy used to make back home. 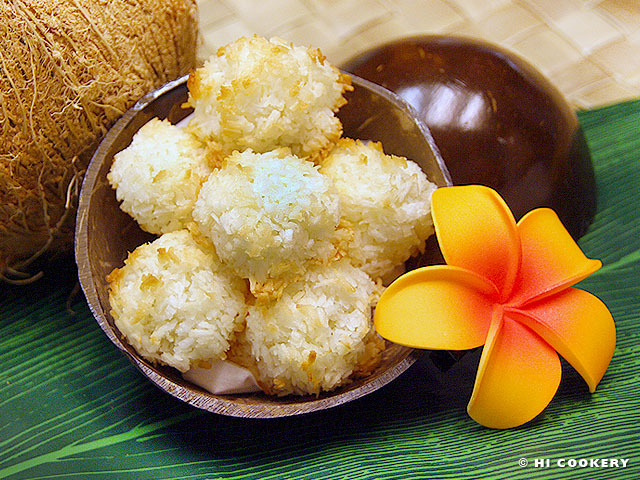 Try these tropical treats when craving coconut flavors, especially on National Macaroon Day. 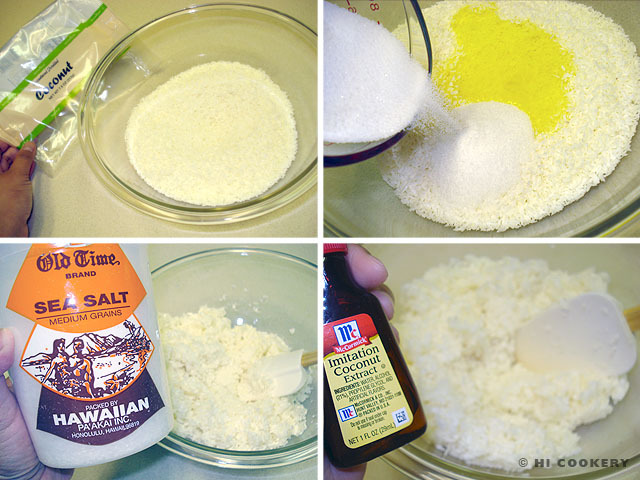 In a large bowl, mix the coconut, sugar, egg whites, salt and coconut extract. Blend well until all the ingredients stick together. Cover the bowl and chill overnight in the refrigerator. Line baking sheets with parchment paper. Use a small scoop to drop the coconut cookie dough about an inch apart from each other. Chill in the refrigerator for 15 minutes. Bake in a preheated oven at 10-12 minutes or until they begin to brown a bit. Remove from the oven and let cool. Remove from the parchment paper. Store in airtight container at room temperature. Serve in mini-muffin/cupcake papers (optional). Macarons and macaroons? We have made both before for our blog. Although they are both cookies, macarons most often are referred to the Parisian-style almond meringue treats (see our Mac Attack page) while macaroons are known as the coconut cookies. Read about the different spelling and more about “macarons vs. macaroons” at The Kitchn site. Coconut water and coconut juice? Unlike macarons and macaroons, coconut water and juice are one and the same. However, some companies that are selling them tend to add some unnatural preservatives in the drink. Learn more at the same Kitchn site. Search our blog for more recipes containing coconuts.